Jewell, 61, became the eighth person to plead guilty. Former FCA executive Al Iacobelli is serving a 5 ½-year prison sentence . Jewell acknowledged in court that he “wasn’t perfect” and wasn’t entitled to anything from FCA. But he tried to explain away his conduct by saying he simply had failed to earmark certain expenses to the UAW. “This lack of apportionment of funds clearly violated” federal law, he said in the 20-page plea agreement. The agreement lists $60,000 in meals and golf, including fine dining at Detroit’s exclusive London Chop House, all paid with training center credit cards. Jewell said there sometimes were dozens of people at the restaurant. The document also states that Jewell used a credit card and approved the use of cards by other UAW officials for more than $40,000 in personal purchases for himself and the others. The corruption occurred during a period when the UAW and FCA were negotiating labor contracts, although Jewell insists his strategy during 2015 talks wasn’t affected. He said he never intended to aid FCA or harm thousands of auto workers represented by the UAW. Jewell said he inherited a “culture of corruption” at the training center when he was assigned to the union’s FCA department in 2014. His late predecessor, General Holiefield, had a $262,000 mortgage paid off. “A man gets put in a cesspool. He was destined to fail,” defense attorney Michael Manley told reporters. Federal prosecutors said they wouldn’t seek more than a 15-month prison sentence when Jewell returns to court on Aug. 5. 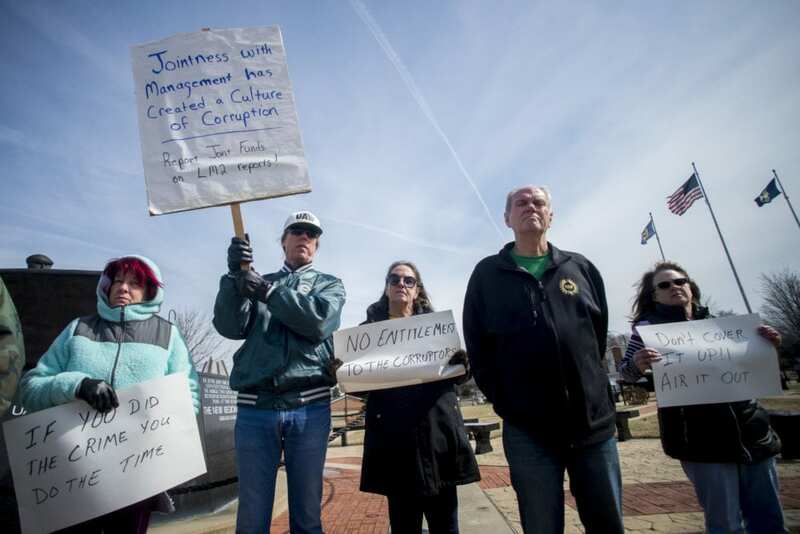 Be the first to comment on "Former Michigan Union Official Pleads Guilty In Corruption Probe"